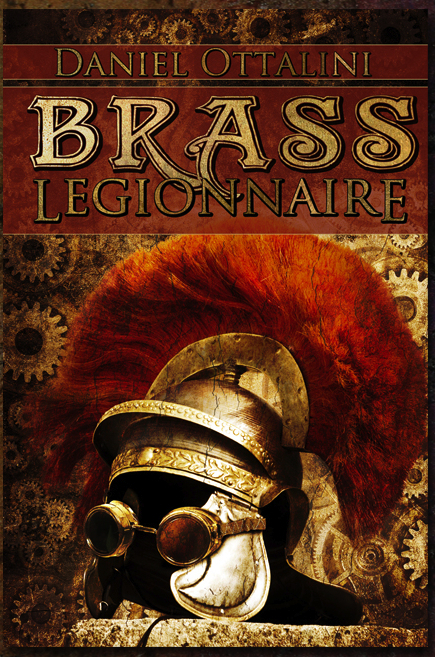 So it’s been about 4 weeks now since I sent Brass Legionnaire off to the editor. I’ll admit freely, once it was out of my hands, I sort of… blanked. I was truly faced with a ‘now what’ type of situation. So for the last couple weeks I’ve been trying to tie up other loose ends that I figured I might as well get done now. So in my free time (My day job and graduate school keep me fairly busy, so that’s rare right now!) I put together a list of a few things that you can do while waiting for the book to come back. 1. Get some nice cover art (Mine was handled by the great people over at Streetlight Graphics, but you can also check out 99 designs or deviantart and post a job offer on either one.) Alternatively, if you’re a great artist or have a deft hand on photoshop, hunt down what you like and tweak it in the best ways. Great way to do it on the cheap if you need to. 2. Set up a personal author blog or website (Like this one) or perhaps even a website just for your book or series. However, don’t jump the gun too early. I have my entire website ready to go on Wix – a flash driven site that is really quick and simple to use – but I haven’t gone live yet because I feel a bit silly doing it without a product to show! Since I can’t do ‘preorders’ I’m simply holding off until the book goes live, then I’ll probably buy one of the smaller packages just so that I can get my domain name (and not have to worry about having other stuff in my URL), but I’ll save my money until then! 3. Set up a business/promotion plan – How will you promote your book? What will you do? Will you advertise? if so, where? Who is your specific target audience? What is best for them? Text ads, picture ads? You’re going to have to do some hard thinking on this one. Don’t limit yourself just to facebook or google. There are a variety of other sites out there that host ads, so find one that is more likely to be frequented by the people you are targeting! 4. Create a free audiobook sample of your first chapter. A lot of people offer a ‘free sample’ of their book to entice readers in. Even if you don’t plan on doing a full audiobook, a sample chapter (read by you, or someone you know whose voice is better!) can draw in a whole host of new people. Make it free on iTunes, put it up on YouTube. The more exposure, the more likely you are to rope someone in who is actually interested! Personally, I’d want to make it a full audiobook eventually, but in the meantime, it’s another cool way to build some hits. 6. Make some business cards/bookmarks. One of the most basic things to do is make a nice business card with your name, email address (not your phone number!) website, and title (you are a soon-to-be-Author!) along with a picture of your cover art. Don’t have cover art yet? Set it up except for that one part. Then it’s a simple copy and paste situation. You’ll probably want to use photoshop for this, but you can pay someone to do it. Personally, I like the control (And also screaming at my computer when photoshop goes wacky!) Then, it’s a quick upload to vistaprint or Zazzle. Be even fancier, add a QR code to the back and direct it to your website! Integration baby! 7. Set a reminder to copyright your book when it is done editing. No really, you need to remember to do this! Click here to find out more. You can also pre-register your book if it is in the process of editing to get a bit of a head start on the copyright process – Another chunk of money you need to shell out, but you don’t want people stealing your hard work now, do you? I’ll be honest though, I’m not sure if the pre-registration is a good deal. Readers? 8. Make sure you’ve got an account on Goodreads, Amazon, Smashwords, and anywhere else you plan on selling your book. 9. Make sure you’ve got a well-written synopsis for your various book pages and a good blurb or two for your front page or inside cover. 10. Write your bio, your acknowledgements, then sit back and wait!